Self-movers have several different types of boxes to choose from when packing up their home or apartment in Atlanta, Georgia. In order to determine which boxes are best to use when relocating, consider the following tips. When packing, movers should keep the weight of all boxes at 50 lbs. or less, so that packages can be loaded into trucks more easily. It’s important to keep this weight limit in mind because it will also make it easier for movers to unload trucks and place boxes in the proper rooms throughout a new home or apartment. 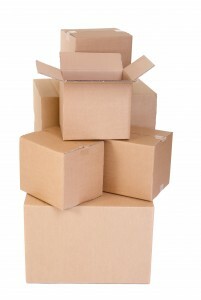 Most boxes come in three standard sizes: small, medium, and large. While medium boxes are good for most jobs, small boxes are ideal for heavy items such as books because packages won’t weigh more than 50 lbs. when full. Similarly, large boxes are ideal for lightweight items, such as pillows and comforters, since these items won’t weigh the box down, even when full. Movers can even purchase specialty wardrobe boxes and mirror boxes, if needed. These items, as well as boxes, may be purchased at any moving company located in Atlanta, GA. In fact, moving companies such as Bulldog Movers can help you prepare for an upcoming move. Our experts can assist in packing up your home and will even bring the packing supplies to you, so you can forgo the extra trip. If you’re interested in learning more about our packing, moving, or storage services, contact Bulldog Movers today.